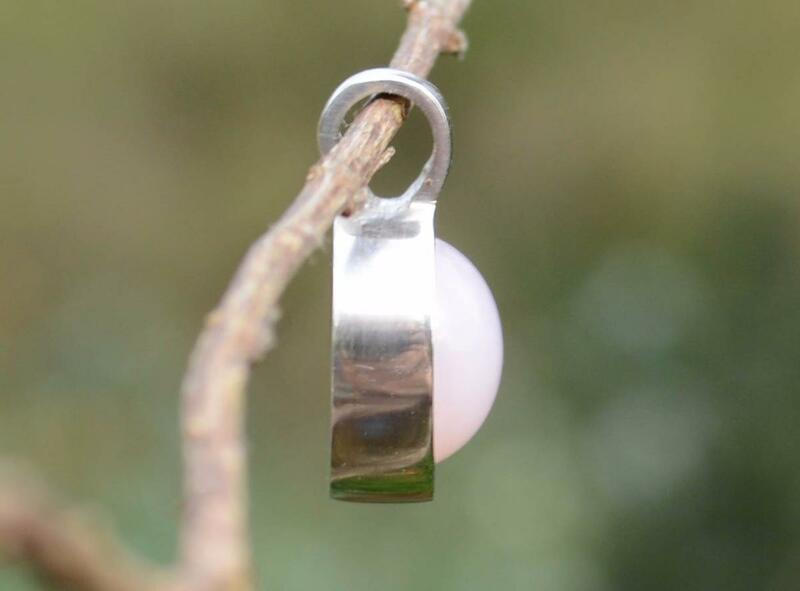 A beautiful 10mm Pink 0pal in thick sterling silver. 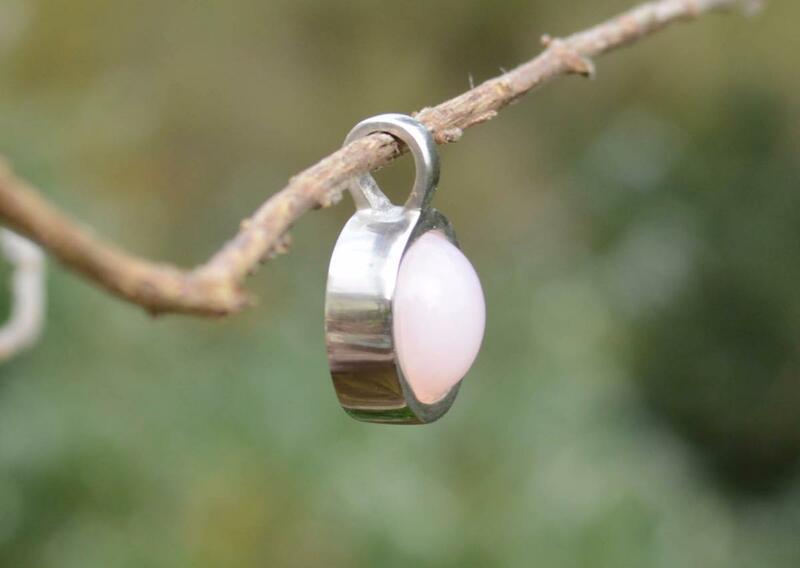 Pink Opal is a soothing heart chakra stone encouraging love and balance. 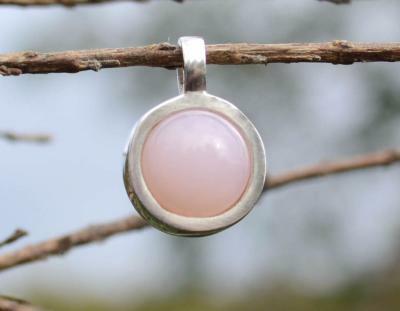 "Opal has been used by the Native American Indian and the Australian aboriginal shamen to invoke visions; it has also been used during the Native American ceremony of the vision quest, and by the Australian aborigines during ceremonial "Dreamtime"". 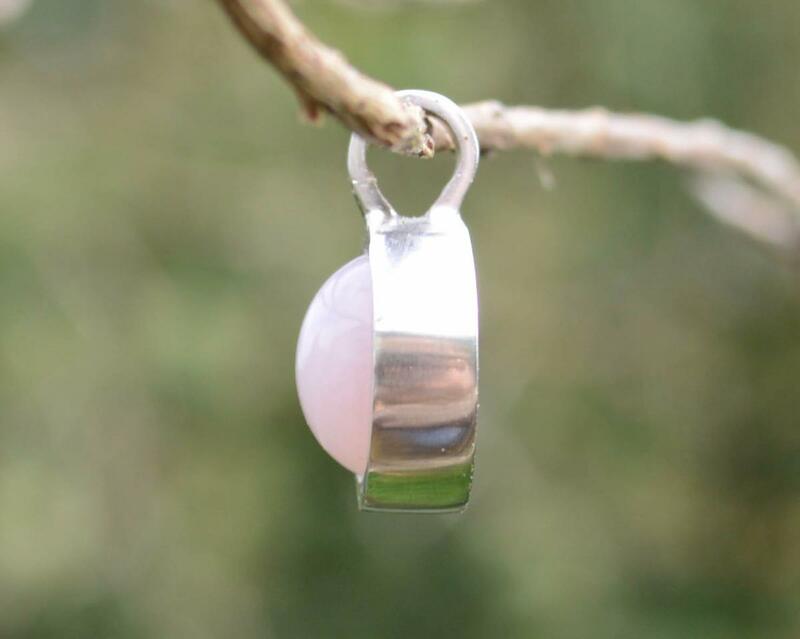 Melody, Love is in the Earth.